MAS is well-known and efficient paradigm to deal with complexity and distribution. They are composed of interacting agents evolving in a common environment in order to execute a global task. Lot of works have been done on these systems and currently, because targeted applications need dynamics, openness and robustness, the systems to be done must have the ability to self-adapt. 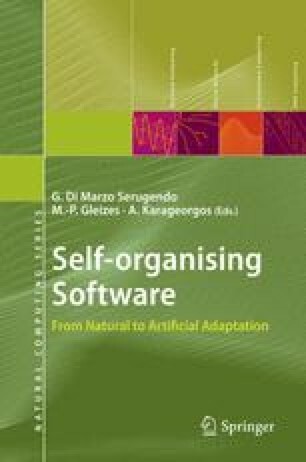 Naturally, self-organisation is introduced in these systems to enable them to get open, robust and adaptive MASs. In this chapter, we present the three main concepts of the MAS domain, agent, MAS and environment, and their properties, and indicate the links between MASs and self-organisation.